It has been rainy and gloomy here the last few days. It's hard to get out and do much when it's like that so Campbell and I stayed in most of the day yesterday. 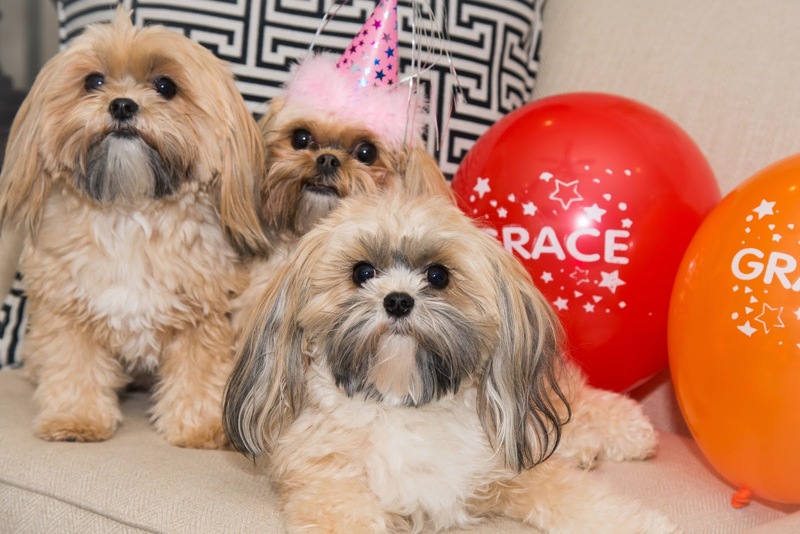 We did make a quick run to Bliss Cupcakes to get Grace a "PupCake" for her birthday. 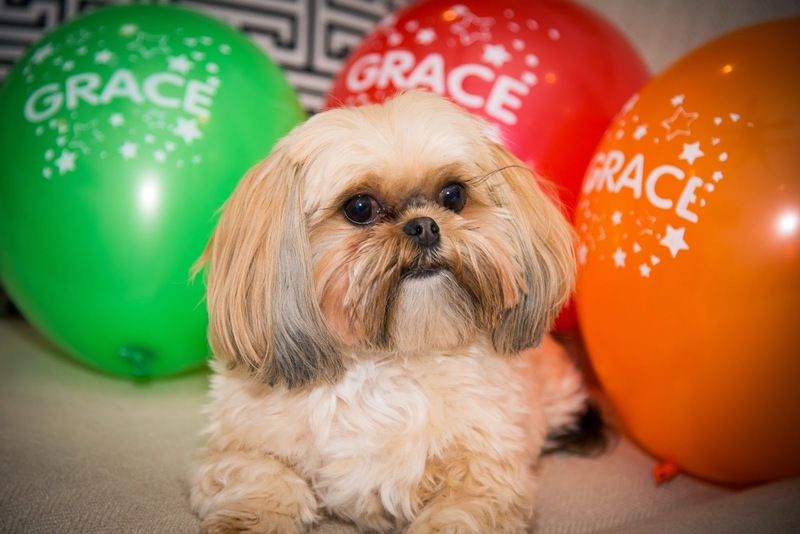 I didn't get any pics of her special treat but I did manage to blow up some special balloons and get a few pictures of Gracie on her third birthday. My girls will be three in a week and I can't believe it. I just realized a few weeks ago that their birthday always falls on St. Patricks Day so there's that thrilling piece of information. Today is my first day to start weaning Campbell and I don't know what is wrong with me but I'm having a hard time with it. I'm not necessarily emotional or anything but I just keep putting it off. I've been saying for days that I needed to start doing it and in my mind I'm just like "oh I'll do it tomorrow....I'll do it in a few days....I'll just wait until after his birthday and then do it...." I've been looking forward to the freedom of not breastfeeding for months and months and now that it's here I'm being all weird about it. I definitely did not see that coming. Campbell has been using his stuffed animals as pillows and Scott keeps saying we should just get Campbell a pillow. I kind of like seeing him use his bear as his pillow. It's pretty much the sweetest thing ever. Yesterday morning Scott surprised me with a chicken biscuit from Chick Fil A. That right there is true romance y'all. Weaning is HARD!!!!!!!!! I never ever ever in a million years thought it would be hard before I had Brooklyn, but it SO is. There's just something about it. I'm still mourning over not being able to nurse Natalie.